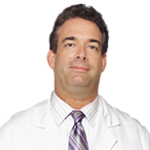 Dr. Siegel has served as Clinical Director since January 2005. He graduated from SUNY College of Optometry in 1996 and has devoted his career exclusively to laser vision correction. He has accumulated 10 years of experience and has seen the refractive surgery improvements and changes that have occurred throughout its history. Dr. Siegel experienced the joys of LASIK firsthand when he had LASIK surgery on his own eyes in 1998 and is still 20/15 today!